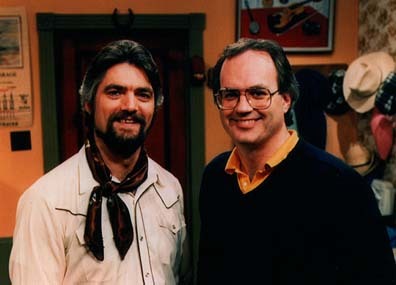 'Up Home Tonight' was a television show conceived and written by Gordon Stobbe (Host and Musical Director) and Barry Bramhill (Producer) for the ATV network in Halifax, Nova Scotia, Canada. 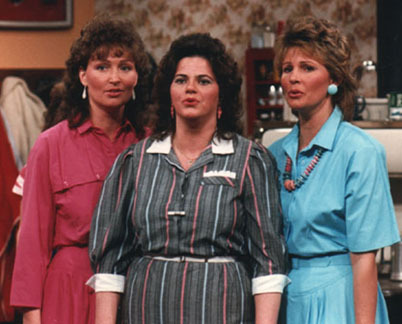 It ran for eight seasons from 1982 until 1989 when, in spite of very high ratings, it was cancelled by the network to make way for a different type of show. 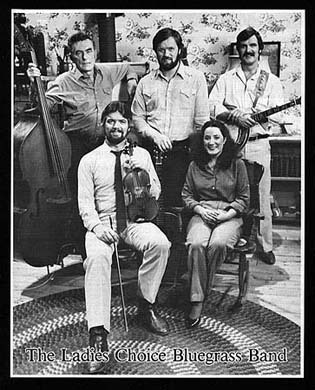 'Up Home Tonight" was a concept that put the music in it's natural environment. 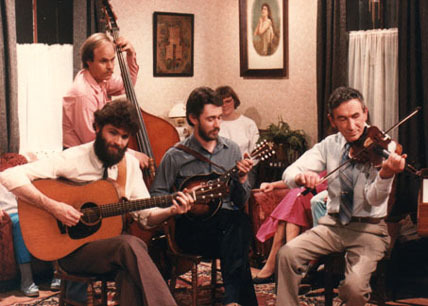 The centre of maritime social life for decades has always been the musical house party. 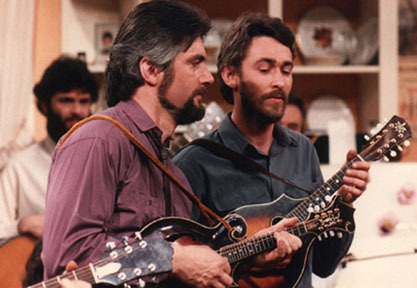 So Stobbe and Bramhill put the music of the Maritime provinces in the kitchen, creating an informal and welcoming venue which quickly became one of the most popular shows on maritime television. 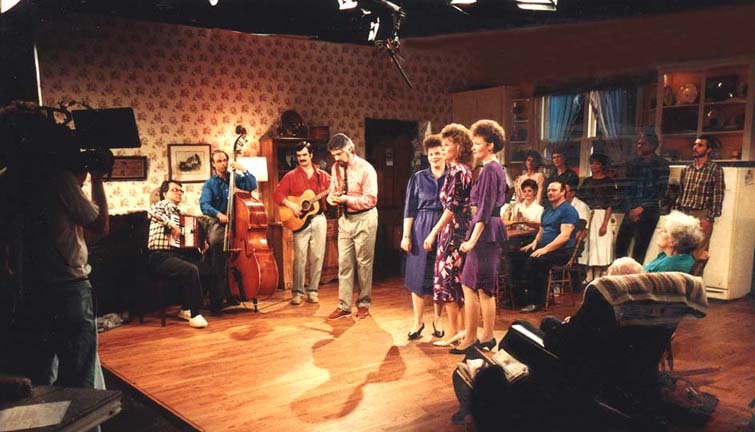 The show was also carried by many TV stations across Canada. 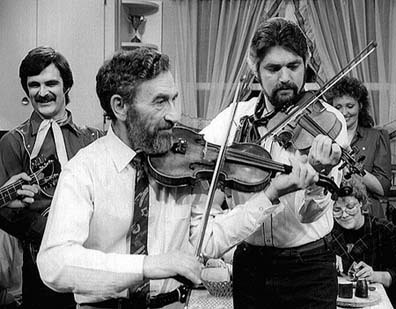 The legacy of 'Up Home Tonight' lives on in an endless variety of kitchen parties on radio, TV and live performances around the Maritimes. 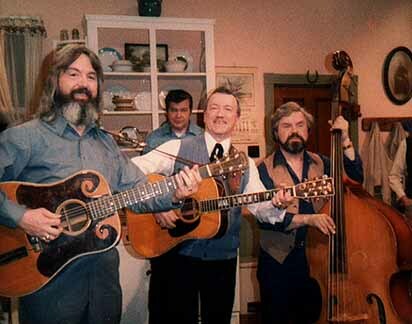 Up Home Tonight celebrated the virtues of acoustic roots music a decade before the 'O Brother! Where You Bound' soundtrack brought it to the masses. 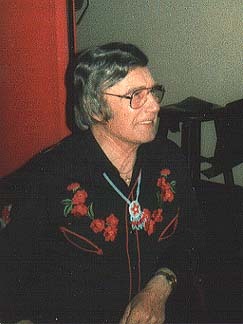 And Gordon Stobbe was in the centre of things as a kind of ringmaster/ master of ceremonies who kept the music flowing. Gordon Stobbe, and Trish York. 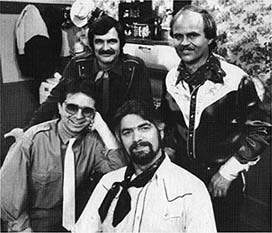 On the Set with the Boys in the Band and Sugartime.